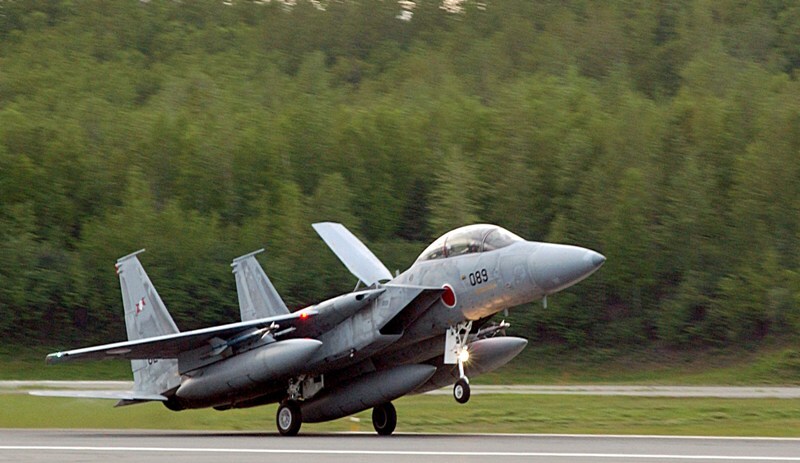 The F-15J Peace Eagle is a special F-15 version for the Japanese Air-self defence force which has bought 223 F-15J fighter jets. The F-15 is an air-to-air jet to intercept enemy aircraft. The F-15J a variant of the USAF F-15C/D but the ECM, radar warning system and nuclear equipment have been removed. The AN/ALQ-135 (radar) has been replaced by the J/ALQ-8 and the AN/ALR-56 RHAWS has been replaced by the J/APR-4. The crew consists of one. The airplane has a maximum speed of mach 2.5 (on high altitude) and has 2 turbofan engines with afterburner.